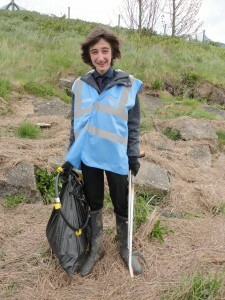 The Lytham Beach Clean up! Today (23.04.14) the Friends of the Estuary Coastal Care Group, Conlon Construction and Danbro took part in a beach clean up. This is something the Friends of the Estuary Coastal Care Group do every week but this time we were able to join them! We met at 1030 am at Jubilee House where Meg from the Friends of the Estuary, gave us a brief overview of what the clean up was all about. 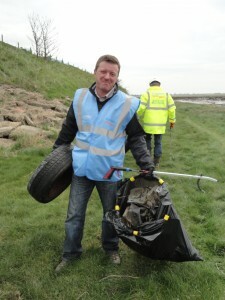 It’s not just about maintaining the award winning surrounding beaches of Lytham but also about trying to protect the birds and wildlife, many of which are hurt or even killed by the debris swept up and rubbish left on the beaches. Following a quick Health & Safety briefing by Jim we were split into teams, given our instructions (the buddy system and to have fun) and off we went. Dylan from Danbro…it was windy! Rob, Group Development Director of Danbro – mucking in! 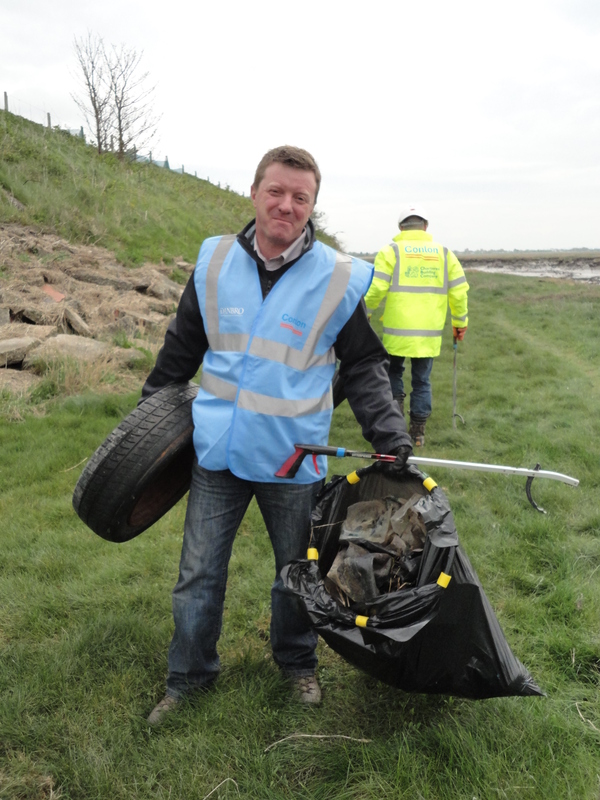 Within a matter of minutes the amount of rubbish collected was unbelievable…from bottles, cans, crisp packets, lighters, car tyres, huge pieces of metal and 100s of plastic bags! 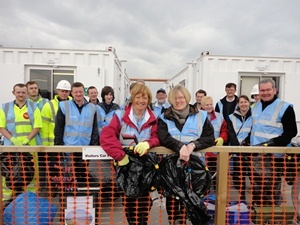 And when the bin bags were full we called it a day (although many wanted to continue). But what a great achievement and fabulous team work! 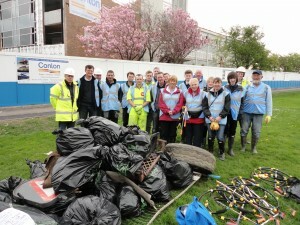 At the end of the clean up! Watch this space for further information of the next one – hopefully even more people can join us! 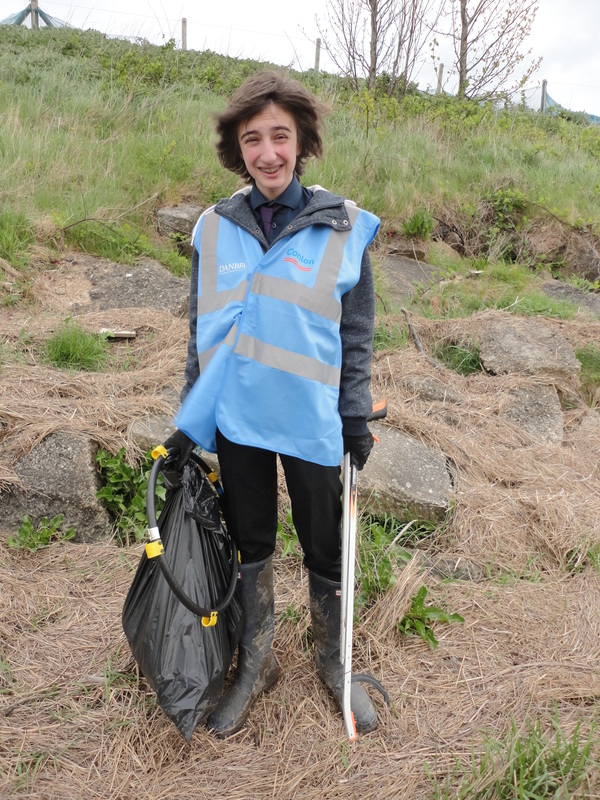 This entry was posted in News and tagged Conlon Construction, Danbro, Friends of the Estuary, litter picking, love our beach by Helen Broughton. Bookmark the permalink.